Every nation moves in the pathway of its civilization, progress, advancements and hopes to guarantee its eternity and permanence. To achieve this, a nation must have a material, tangible capital as a centre and pivot of its millstone. It should be a place for gathering and dispersal and a centre for decision-making, planning, establishing laws and setting its goals and objectives, as well as managing all the affairs of its people. The Islamic nation has been honoured by the tangible centre, visible and invisible; it is the capital of capitals that differs totally from other nations' centres. It combines the form and the spirit, the sense and the meaning, this world and the Hereafter. The Muslim is regarded in terms of soul and body and his deeds in both worlds. 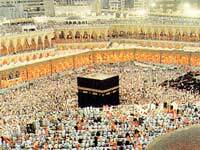 This spiritual and tangible centre is the Ancient House of Allah, the Holy Ka'bah, the Sacred House. The Islamic poet, Muhammad Iqbal (may his soul rest in peace), expressed these views in a long poem composed at the Sacred House. It is worth quoting some verses from this piece to remind the Islamic nation to devote itself to this linchpin. Our very existence is evidence of its truthfulness, And our sense of belonging is a fulfillment of Abraham's Praycr. Our name ranks high amongst nations, Linking the past with the present. 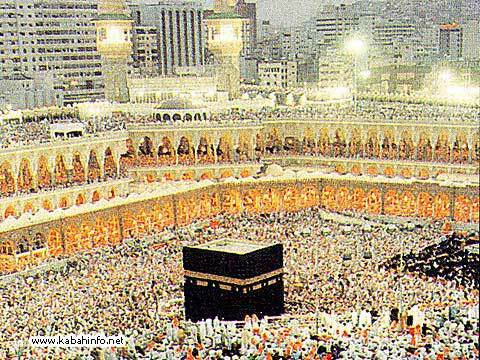 Circumambulation around it has the nation united, It is the heart the lamps envelop. In its sanctity our vastness has merged, Our strength, out of unity, has been cemented. It is only through unity that nations survive, This unity is verily the secret of the Sacred House.